How do you keep children safe from guns? Answers to this question have been debated everywhere from suburban PTAs to cable news to Congress, and still approximately 1,300 children are killed by guns each year—10 percent of which are accidental shootings. A group of physicians and residents at Boston Medical Center say the answer to this is clear: the only true way to keep children safe from guns is to not have guns in the house with children. The questions they ask are part of the American Academy of Pediatric recommendations for checkups. The guidelines are part of the Asking Saves Kids or ASK campaign—the only national safe gun storage program that has been independently evaluated by the nonpartisan Government Accountability Office and found to be effective. In addition, the questions have been included in the hospital’s electronic health records, underscoring the importance of gun safety to health. Questions are tailored to the child’s age group. For example, a provider might ask the parents of a toddler if there are guns in the house and if so, how they are stored. If the child is in elementary or middle school, a provider can also encourage parents to ask other parents about guns in the house and ask the patient what he or she has learned about guns and gun safety. While many parents assume their young children are unaware about guns in the house, Palfrey says research shows this is not true. Providers try to talk to older children about guns both with their parents and alone, asking questions like whether they know where they could get a gun or if they ever store guns for their friends. Teenage girls, for example, might hold guns for their partners, while other teenagers might share a gun within their group of friends. Palfrey says less than five percent of patients or families claim they have a gun in the home—and that he believes 80 to 90 percent of them. 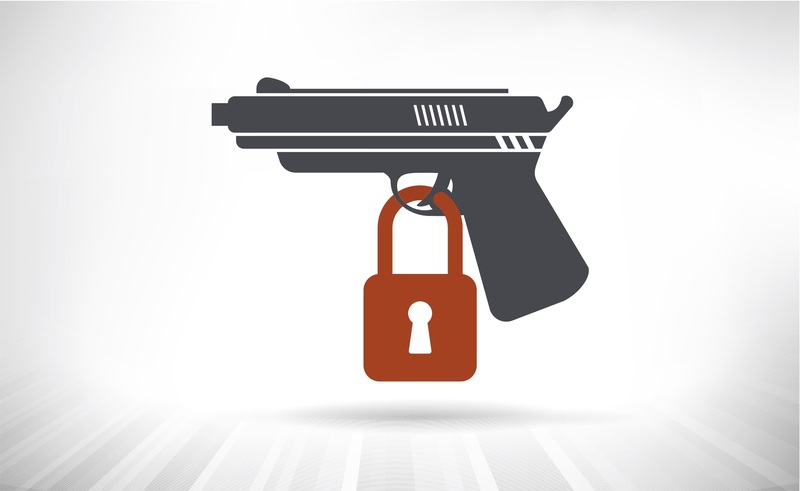 In order to reach all families with guns in the home or who may have friends or family with guns in their home, the Pediatrics Department began offering free gun locks to all patients, regardless of their answer to this question. These locks prevent guns from being fired when the trigger is pulled. The department will be tracking not only how many locks they give away, but specifically how many are taken by people who say they do not own a gun. Extending outreach to other groups is the most crucial part of curbing gun violence, say Holmstrom and Palfrey. Families don’t usually operate in isolation, and therefore, you cannot make lasting change without partnering with other critical groups such as the Emergency Department, Social Work, community organizations and schools. Founded in 1992, the Child Witness to Violence Project (CWVP) is at the forefront of advocacy and treatment for children suffering from exposure to violence.